Our Steam Turbine Courses cover machines from different manufacturers as well as different designs. Our steam turbine courses also discuss large steam valves such as the combined stop and control valves used as well as attemperation valves, recirculation lines and many more details. The steam turbine is a small dual cylinder design with a high pressure section and a combined IP-LP section. 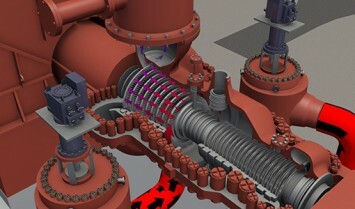 The steam turbine is equipped with a water-cooled generator. This course covers the operation of the steam system sections and lube oil system. 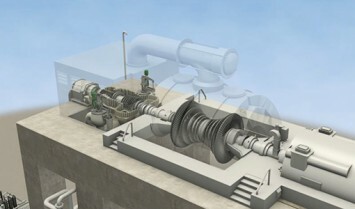 The GE D11 steam turbine is a popular combined cycle power plant machine. This course covers the operation of the three turbine sections, hydraulics, lube oil, and start procedure. 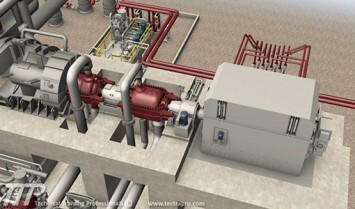 The Toshiba steam turbine is a large machine typical to two-on-one combined cycle power plants. This Toshiba steam turbine course reviews the operation of the steam sections, lube oil, hydraulics, steam seal, and complete generator operation including the seal oil system, hydrogen purge, and hydrogen refill procedures.